If you had to take a guess at how long a customer looks at a menu, what would you say? Maybe three minutes? Maybe four? Possibly five at a push? In fact, according to research by Gallup, the time that customers actually spend looking at menus is actually just 109 seconds. That’s right, less than two minutes! With that in mind, for businesses, how a menu looks and feels has become hugely important. When you have less than two minutes to present what you’re offering to a customer, you have to get it right! Colours can cause strong mental and emotional reactions in people. To tale one as an example, the colour blue is associated with trust. That’s why lots of financial and legal institutions, like banks, solicitors and insurance companies use blue in their printed material. But in relation to food, blue is actually thought to suppress appetite, which is not ideal for a restaurant. Strong colours that are often seen in the food industry are red, yellow and green. Every colour in the spectrum can stimulate a reaction, creating certain feelings and perceptions. And the colours used in a menu have become as important as a logo or interior design. It might sound like the name of a generic Chinese restaurant, but the ‘Golden Triangle’ actually refers to the way that we look at and read menus. 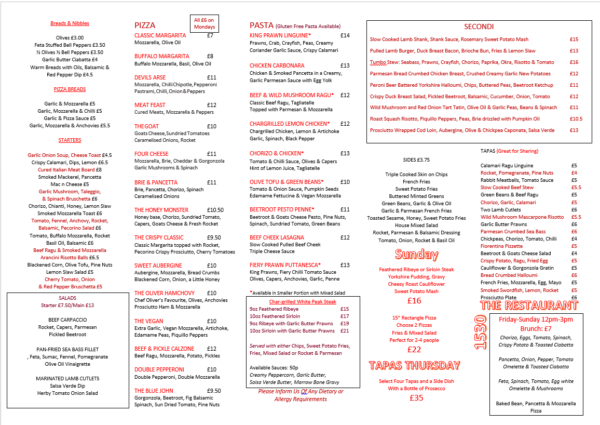 Take a look at the menu above and note of where your eyes move first. For most people, their eyes start at the middle, then travel to the top right corner and finally go to the top left corner. And that my friends is what those in the menu business call the Golden Triangle! This is the sweet spot, the place where restaurants put their best dishes, the ones that are most likely going to bring in the most cash. That doesn’t necessarily mean the most expensive dishes. A restaurant might have a couple of fancy ones that are a bit niche. If they’re in the ‘Golden Triangle’ it could mean a few more sales but perhaps not enough to counter the loss of potential sales of having a more popular dish there. Whether to include images of the food is always a tricky one. In theory is should make the job of showing your meals easier. 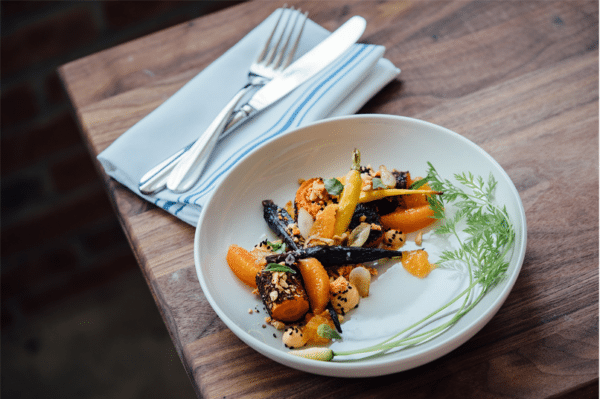 And according to California-based menu engineer Gregg Rapp, the inclusion of one photograph per page can increase sales for that food item by up to 30 per cent. But a lot will also depend the kind of establishment. Pairing a photograph with every dish tends to be a something associated with low-end venues, like burger joints or greasy spoons. You would not expect a high-end restaurant to adorn its menus with images. In fact, a recent study by Durham University Business School found that if the name of a menu item is straightforward, such as ‘burger and chips,’ a picture next to it will make a diner more likely to buy the dish. By contrast, if a meal has an ambiguous or complicated name to describe something quite simple, the kind of flowery approach you might get in a high end restaurant, an image can have the opposite effect and put diners off the meal. Click here to find out more about our menu design and printing service. When it comes to menus, the adjective can be king. 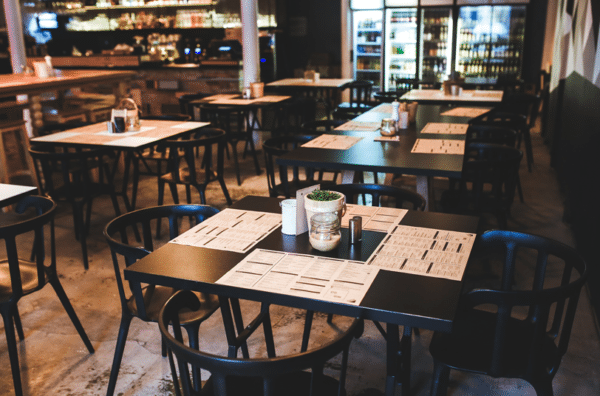 A study by researchers at the University of Illinois found that descriptive labels increased sales by 27 per cent and improved the way customers felt about the food, the restaurant and dining there again. Who doesn’t open a menu and glance at the prices? Few customers choose without the consideration of cost. One of the first things that Gregg Rapp suggests, irrespective of the level of restaurant, is removing currency symbols. Punters don’t like being reminded of the ‘pain’ associated with spending money. Removing the currency symbol softens the blow and means that other considerations are taken into account when choosing food, like what they might actually want to eat, not what their bank card is telling them they should. What Should a Menu be Made of? So, the colours are tailored, the text is expansive yet subtle, the pricing discrete and everything is designed to get the most out of customers. And then it gets printed, put out on the tables, ready to do its work. But what happens next? What happens when it’s mauled by greasy fingers? What happens when food and drinks are spilled on it? What happens when careless customers tear bits off and crease pages? When menus are designed, the realities of the business environment have to be taken into consideration. If it’s a Chinese takeaway pushing menus through doors, then robustness isn’t that important. If it’s a restaurant catering for lots of children then probably some form of protection, like lamination, is something to think about. And if it’s a high end eatery, where people expect quality, then foldable cardboard or a piece of A4 is not going to cut it. More to It Than ‘Meats’ the Eye! There’s a lot more to the simple menu, so take a look at the next menu you read and see how many of the above points you can spot.